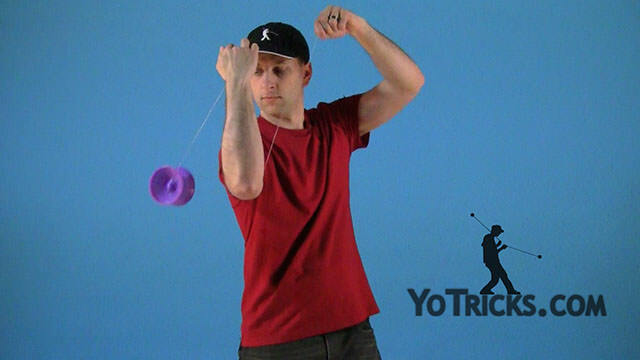 Before learning this trick, you have to be really consistent with Arm and Leg orbits. 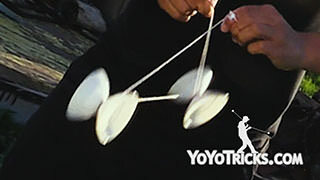 If you have not learned this trick yet, we have some videos for you to check out. 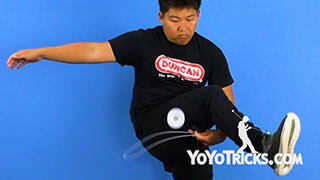 First, throw the yoyo and catch it. Place the string under your leg on your throwhand side, similar to a leg orbit. From there, you are going to pass the yoyo from your throwhand to your non throwhand, like a leg orbit in reverse. 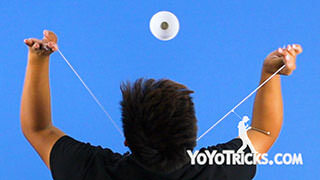 After performing a couple of leg orbits, we are going to transition the yoyo to the other leg. To do this, we are going to perform a suicide, catching the other end of the string underneath your leg. 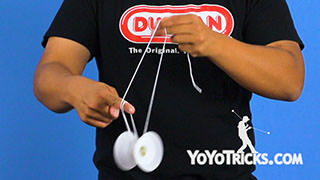 So as the yoyo is passing under your leg and coming up, you will let go of the end of the string with your opposite hand, and swing the yoyo over into the center of your legs. 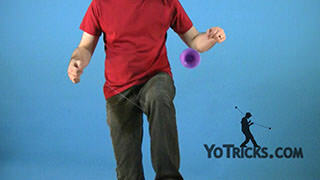 You have to lift up your opposite leg and reach under your knee to catch the other end of the string. From there, you continue doing leg orbits in the same direction as before. To dismount from the leg orbit, just perform a suicide and catch the string in front of your body. For the Arm Switcheroo, you are going to start with a regular offstring catch. 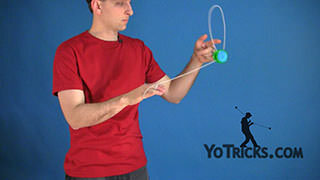 From here, you are going to put your throwhand elbow between the strings and you are going to pass the yoyo to your non throwhand side. You are going to perform an arm orbit in a reverse direction. When you are ready, you will perform a suicide to transfer the orbits onto the opposite side. 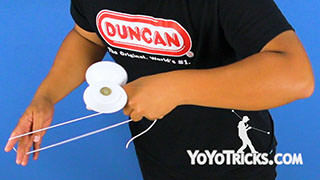 To do this, let go of the end of the string as the yoyo is coming around. To catch the string, you need to stick your elbow out forward in order for you to grab the suicide from the inside. Make sure that your hand is pointing towards you and this brings you to an arm orbit position on your non throwhand. 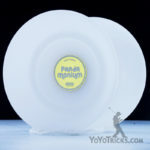 From here, you can continue doing arm obits with the yoyo going in the same direction. To dismount this trick, just simply pull your elbow out of the string and you are back to your offstring mount. And that is how you do the Arm and Leg Switcheroo. And don’t forget to bind with style.